Directed & Edited by Yuri Koller. Woah! Not mad at this at all! This is how you differentiate a hop-on-the-wave freestyle, dub, remix from a proper reinterpretation of an already established hit record. To promote my free LP “Open Doors” (which is out now) I decided to do something creative, which is make a mesh between Rihanna’s song “Diamonds”, & an orchestral version of Led Zeppelin’s song “Stairway To Heaven”, as well as use the famous breakbeat from James Brown’s “The Funky Drummer”. I hope you enjoy it! Debut video from come-up artist G Milla, off his “Downtown” EP. First introduction to Appeel and the 85 Collective. Toronto, ON – 85 Collective (pronounced Eight Five) is proud to present Appeel’s debut instrumental EP titled Region of Appeel. This 5 track instrumental EP serves as an auditory biography of two music lovers who developed their passion for production while growing up in Peel Region (West of Toronto). Region of Appeel has a diverse selection of instrumentals that captures the sound and feel of the awakening of Toronto hip-hop/r&b, and also introduces the masses to Appeel’s unique style. This release offers artists and DJ’s the opportunity to expand the bounds of their creativity while manifesting individuality. Please contact us if you wish to use any instrumentals featured on Region of Appeel. 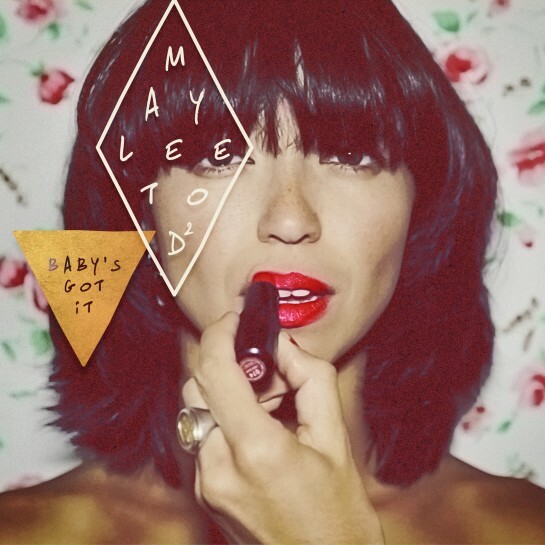 Keeping the heat burning from ‘Hieroglyphics’, rising Canadian soul-pop star Maylee Todd is back with a brand new joint, ‘Baby’s Got It’. And everyone’s invited to the party! ‘Baby’s Got It’ shows off her rapidly maturing pop sensibilities. Produced by Maylee herself, it was recorded with her full band featuring live horns, strings, synth & and guitar, to best capture the vintage 80s disco-boogie vibe. “It’s an upbeat jam expressing confidence and freedom, celebrating your ity and bringing people together in a spirit of unity,” says Maylee. This new hit waiting to happen is a fitting way to cap off a huge year, and points the way to the next level for Maylee Todd. Whether you’re a fan of classic pop and boogie or you dig deep for your rare grooves, ‘Baby’s Got It’ will resonate and find a place on your party playlist. SB push is getting kind lovely right about now. Shouts to Sos. Directed by Sixteen Pads Films. “Simbreaker” is the second video release off the album Something You Feel, by Jai Nitai Lotus. This gritty 2 minute “no hook” anthem, produced by Simahlak, is a full body, frenetically-charged track packed with lo-fi guitars and manically psyched keyboard stabs. Jai Nitai Lotus’ drawn out, teeth-clinching flow sets the tone where “passion and fire” meets this live wire sound. The black and white visuals by Sixteen Pads Films, capture the raw urgency of the music. New Spek Won featuring Boko Maru and produced by GMF. The Weeknd doing it up across the pond on Later… With Jools Holland. The trailer for the first single off of KemiKAL’s debut project “Elevator Music: Going Up”. Promise lets off visuals for the Slakah-assisted “Somebody Else” off his “Awakening” album, available now on iTunes.